Escape the city and head way down south to the sleepy coastal town of Gyeongju. As one of the larger cities in Korea, this is one of the few places you might find a normal, westernised hotel as you know it, rather than the odd ‘love hotels that seem to be popular amongst the Korean masses. 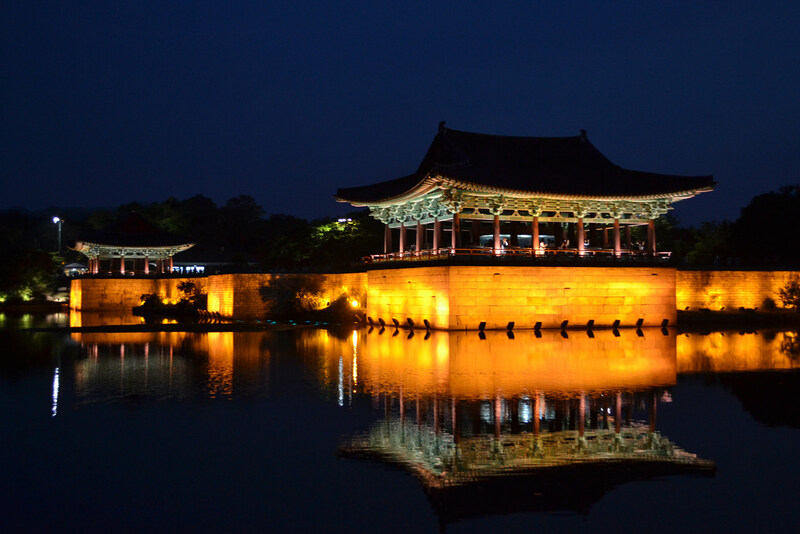 You’re not here to sample to tog of duvet though – you’re here to get outdoors and soak up this incredibly historical city’s past in the form of Donggung Palace and Wolji Pond. A formidable depiction of traditional Korean architecture, these old buildings might not look much, but when darkness falls and crowds begin to gather, you’ll soon realise why the few tourists who do make it to the peninsula make the effort to trek south. Undoubtedly one of the most picture-perfect spots I’ve been to date on all my travels, the moon and stars gently cast light onto the pond, causing a perfectly still reflection to emerge, and in turn, creating a spectacle to behold. I’m no photographer, but this is the one time I’ve taken a decent photo and thought “I could have taken this through a disposal camera with the screen drenched in ketchup, and this would still look good”. I spent hours here soaking up the views before heading off to my odd love hotel. If you’re a keen hiker, it’s located amid a national park, which is adorned with cherry blossom during the spring months. Often overshadowed or completely overlooked by its easterly neighbour, Japan, South Korea, believe it or not has a strong cherry blossom game. Very strong indeed. In fact, I once ambled the 20km stretch of stream that led into Seoul from my house, to find that cherry blossom lined the river bank either side all the way. 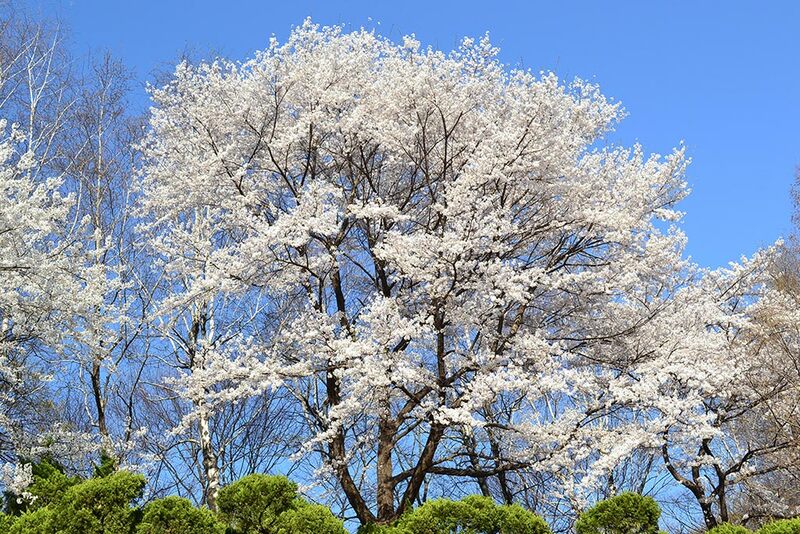 Although Korea is notorious for only enjoying two weeks (at a push) of spring a year, you’ll find both the pink and white varieties absolutely everywhere during this time. Head into the national parks or even just the foothills of the likes of Bukhansan or Namsan in Seoul, and you’ll be sure to get your fix. Watch out Japan! Yes, that’s right. 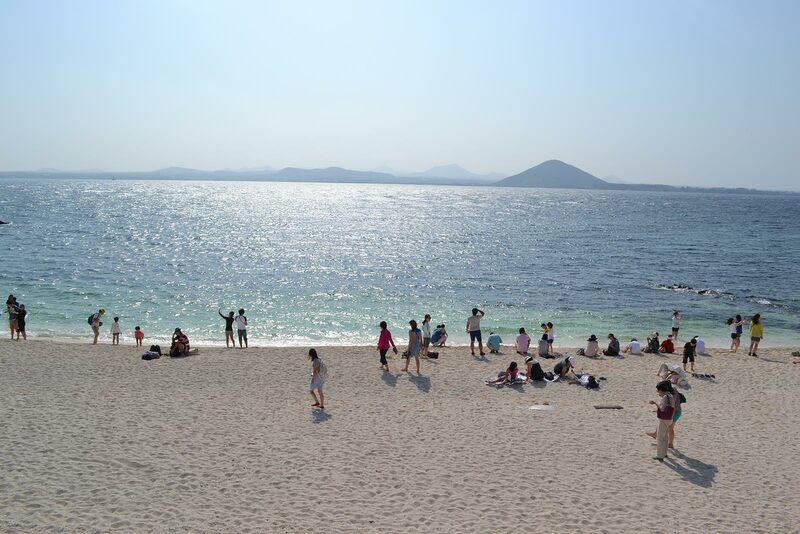 The beaches – Korea has them. And I’m not talking middle of the road, stony, seaweed-strewn beaches where you wouldn’t let even your most hated of exes loose, I’m talking white-sand, smack-around-the-chops-with-beauty-type beaches that take your breath away. Korea isn’t well known for its natural beauty, but when you consider it’s a largely mountainous country where dynamite is dealt out like candy on Halloween to smash through the obstructing mountains and make the terrain navigable – it’s hardly a surprise to learn the landscape is nothing short of stunning. The towns and cities on the eastern coast are a far cry from the seaside tourist destinations we know in the west. You won’t find a pier, arcade or ice cream stand in sight, or the swathes of people that ordinarily frolic in the sea under the heat of the sun, rather, you’d likely be lucky to walk a stretch of beach and bump into another living soul. Heading to the seaside isn’t really a thing in Korea, leaving just you, the sea and the soft, fine sands to get on with things. Firm favourites are Socho and Samcheok, although Busan and Jeju remain the most popular and easily accessed. With the like of Thai, Japanese and Chinese all well recognised and enjoyed by the masses worldwide, it’s incredible to think that Korean food is the forgotten soul of Asia. The country’s cuisine boasts big flavours, distinct methods of cookery, and a unique kind of spicing like nothing you’ll have tried anywhere before. However, in defense of the rest of the world, even the country’s most iconic national dish, kimchi, doesn’t do anything to sell itself – does cold, fermented, spicy cabbage do anything for you? That aside, Korean food can be really hearty, consisting of stews, broths and noodle dishes, but perhaps most taste-bud-tantalising of all is the Korean barbecue. Ordering a bunch of dishes and whacking them in the middle of the table is common practice, as sharing food is just the culture, and barbecue serves as a meaty celebration of this all things delicious and sharable! A coal fire pit is ignited before you and a copious amount of meat, garlic, onion are all there for you to hand cook to your liking and dish out at your leisure. 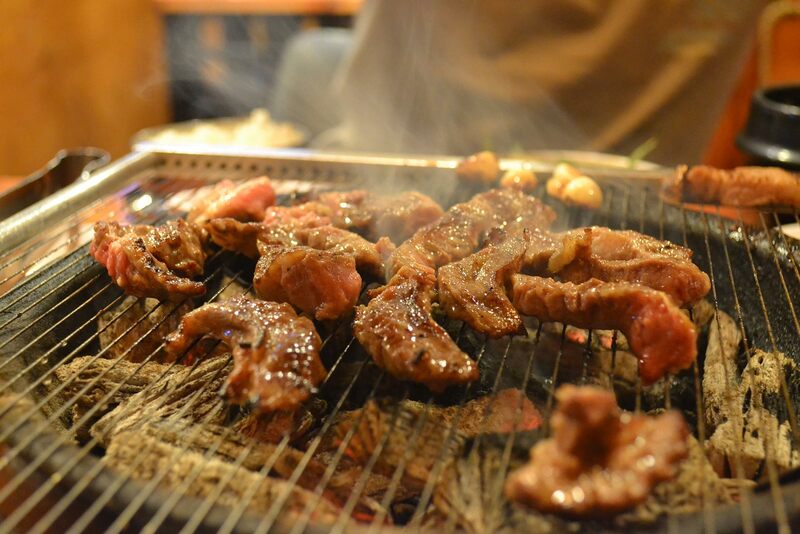 The most exciting part of dining Korean is the myriad of side dishes that accompany the barbecue experience. I’ve been to restaurants where we’ve had to put some on the floor due to table overflow of these tasty morsels.The reality being, you probably won’t know exactly what it is you’re eating, but it’s a fantastic opportunity to sample the best of Korean flavours without ordering the entire menu.